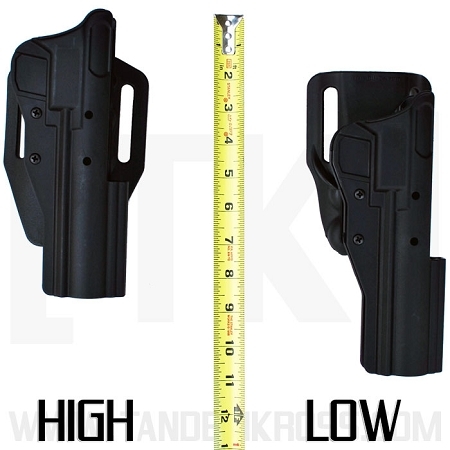 The BlackDog Black Max Series HMK Holster is one of the most versatile holsters in the industry. Whether you have a Ruger® MKI™, MKII™, MKIII™, 22/45™ or LITE, this holster will firmly secure your firearm while you are plinking at the range or hiking through rough terrain with its adjustable retention. 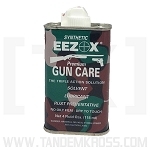 Best part is, it will accommodate scopes, red dots, some suppressors, and any length and type of barrel. You’re a southpaw? No problem. 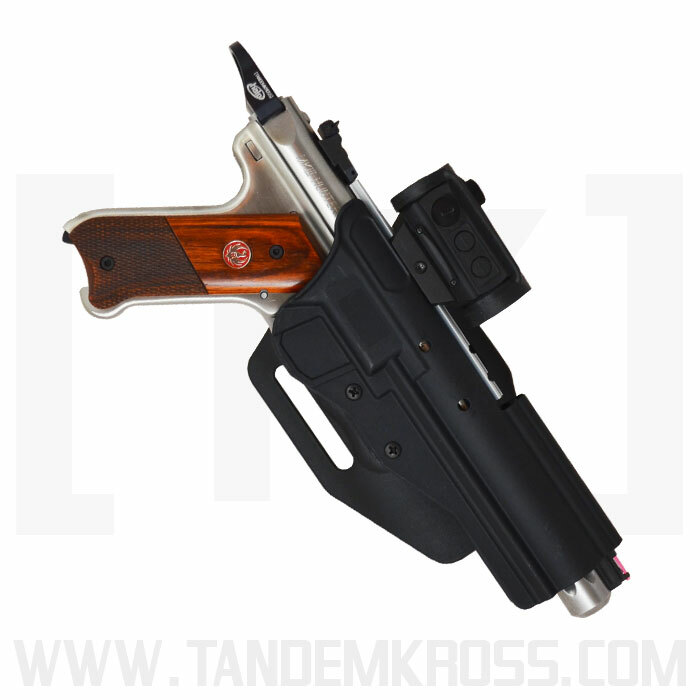 The holster is easily reversed for left-handed shooters. 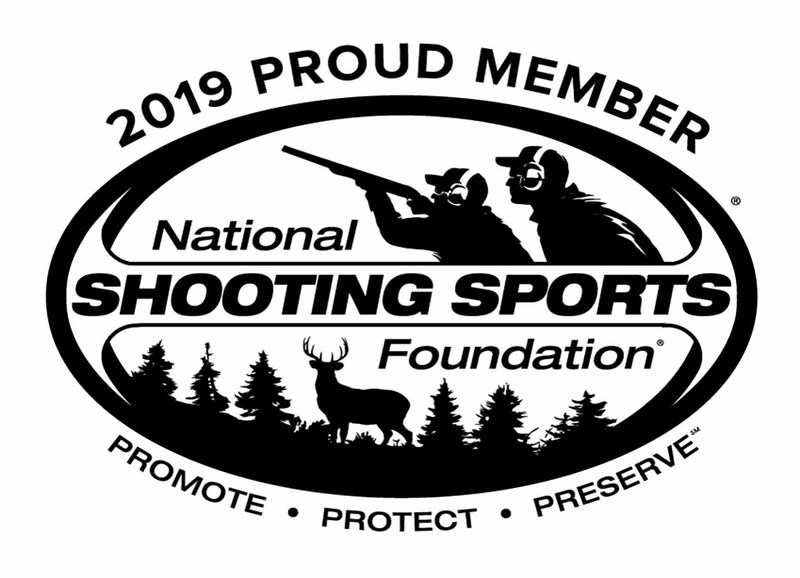 If you are a competition shooter, you’ll love how this holster slightly angles the gun away from your body, allowing you to quicken your draw and gain that added edge on the competition. Give your pistol a good place to rest and pick up this holster today! I tried several holster but none did what I wanted, retain a 22/45 Lite with a red dot and a suppressor, until I tried the Black Dog. The Black Dog works great. Retention is positive. There is no interference with the suppresser and plenty of room for the Fast Fire III I have mounted. 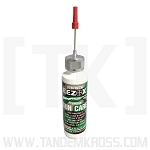 I would have preferred something with an adjustable cant and if BD brings one to the market I will be in line to get one. Great Holster!!! 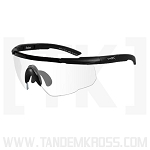 As usual from Tandemkross ,best quality, price, and service. Great holster for my Ruger 22/45 MK lll. Thanks guys for knowing what I need before I need it. Haven't actually carried my MK III in this holster yet, but retention is fantastic, and adjustable. Had to extend the cut-out about 1/2" to clear my scope with the rings I'm using, but thats my fault, not the holsters. I'm looking forward to using it soon. And will be purchasing the leather version as well when $ is available! Great holster. It is hard, if not impossible, to find left handed holsters. If you do find one it costs more. Not so with this one. In just a few minutes you have a quality left hand holster that should last forever. Excellent quality. Good stuff. Q: Have MKIV 22/45 Tactical will it fit in this holster? 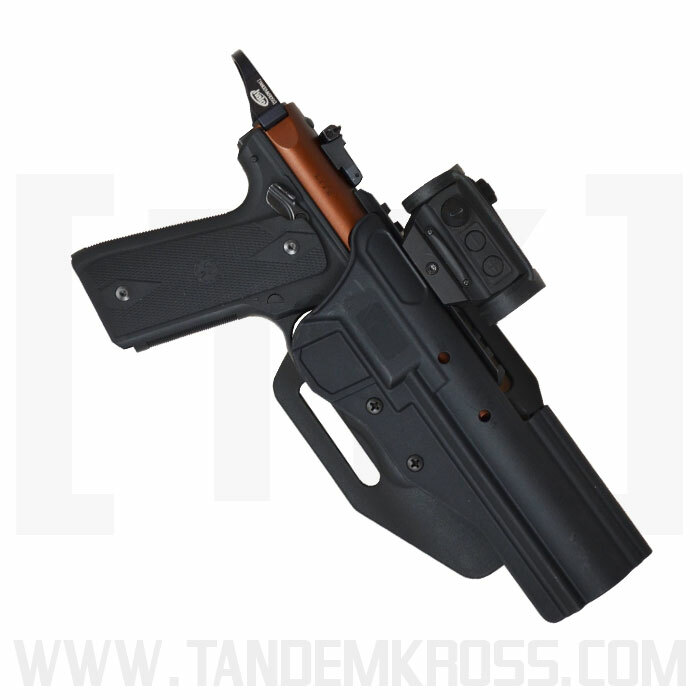 A: Yes the MKIV Tactical will indeed fit into the BlackDog Holster! It is a great fit. Q: Will this holster fit the new Ruger MKIV? 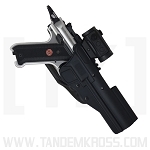 The list of "supported models" lists the MKIV but I was under the impression that it won't work with this holster. A: Yes the MKIV models will fit into the BlackDog holster. 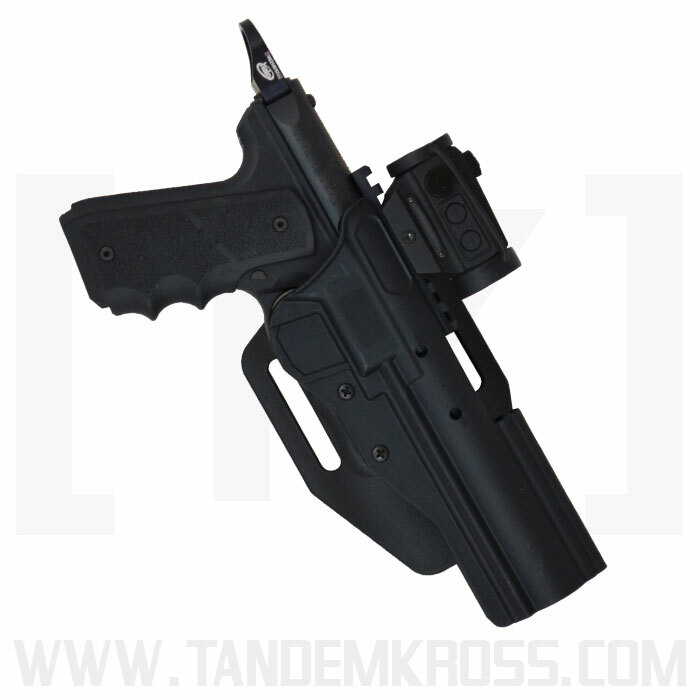 Please visit the product page and view the small pictures which will show the MKIV in the holster. Q: Will it fit MKIV? Q: Does this holster come with a release button or is it just a snug fitting holster? A: It does NOT have a release button. 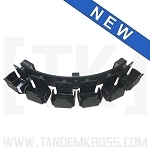 It has adjustable tension so that you can make it a snug fit. Q: I have a Victory 22 will it fit in this Holster? A: Tac-Sol nor BlackDog recommend using the S&W Victory in this Holster. They specifically designed this holster for the Ruger series of pistols. However We do use this holster in house for our S&W Victory and it fits well. Q: How's the fit with a Ruger Mark II with a tapered barrel? 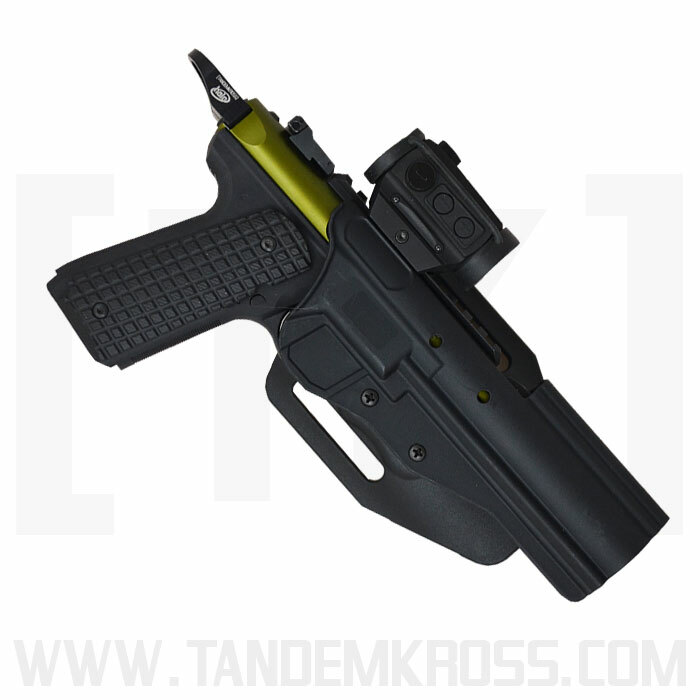 Is there movement towards the bottom of the holster? 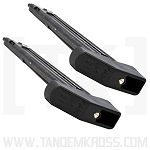 Holster accommodates Slab Side, Bull Barrel, Fluted, and Tapered Barrel models in all lengths. With no issues. 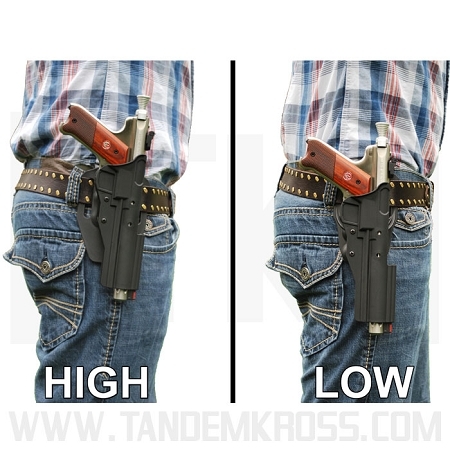 Q: Do you sell more high ride or low ride holsters? 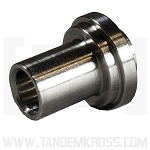 for the Ruger 22/45 lite? A: They are equal in sales. Q: I was directed from the slickguns.com site regarding a holster for the Browning Buckmark. Will this holster work for the Buckmark? Q: Will the BlackDog Ruger Red Dot/Scoped Holster work for my MKIII with a Burris Quick Fire Red Dot? 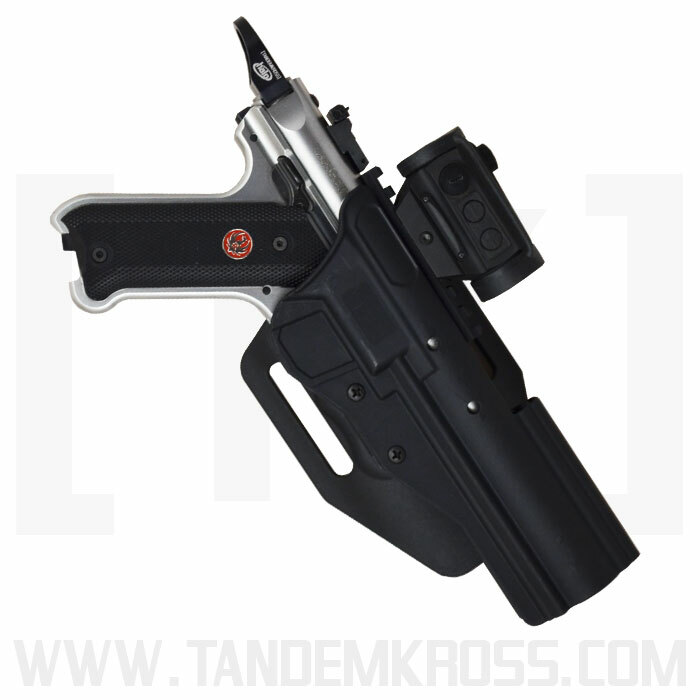 A: Yes this holster will accommodate your Burris Fast Fire Red Dot. 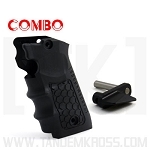 Q: Will this holster accept compensators, such as the TK as well as the thicker one from Allchin? I also have a C-More RTS mounted toward the rear of the slide. I see that this holster can accommodate that, right? 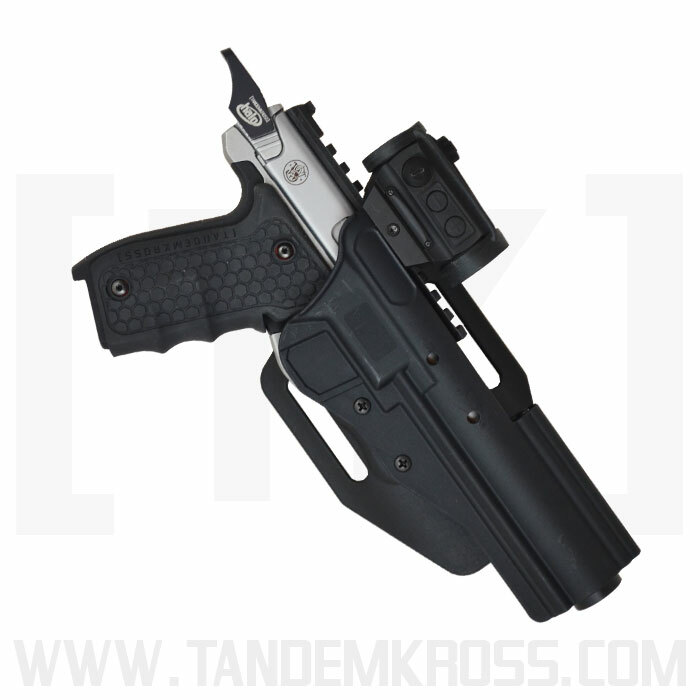 A: This holster is open at the bottom and will fit a Compensator or suppressor. It will also fit your C-More RTS.